Completed just two days before his death at age&apos;7, Louis Zamperini's second memoir (following Devil at My Heels, also co-written with David Rensin) shares a lifetime of wisdom, insight, and humor from his inspiring life. His determination and courage were widely celebrated following Laura Hillenbrand's biography Unbroken and the subsequent motion picture from Angelina Jolie; here in his own words, with engaging warmth and charm, Zamperini reveals the essential values and lessons that sustained him on his journey from a rough-and-tumble youth to becoming a 1936 Olympic champion, a volunteer army pilot in the Pacific Theater, a castaway adrift on a raft for seven weeks after being shot down, and a prisoner tortured by the Japanese for years. 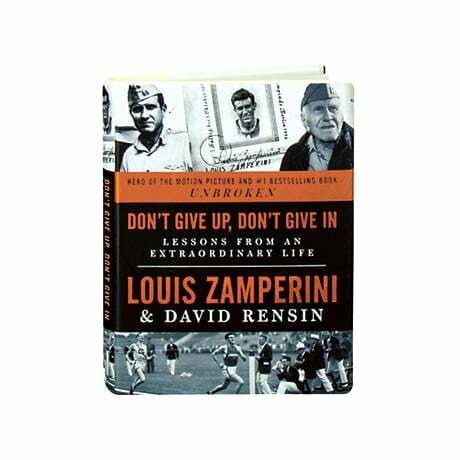 Even after he returned home, Zamperini faced more dark days, but in 1949 he was transformed by a spiritual rebirth that would guide him through the next 65 years of his long and remarkable life.